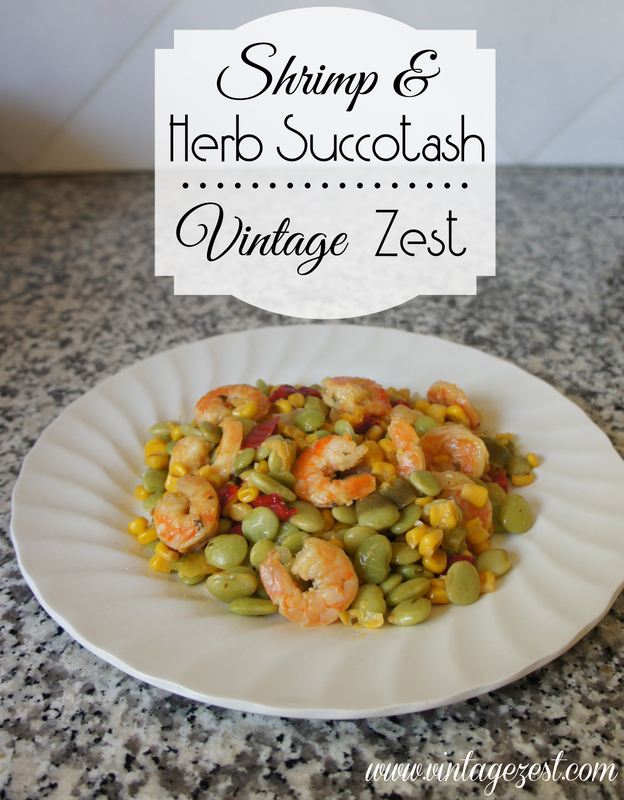 Quick Dinner Recipe: Shrimp and Herb Succotash ~ Diane's Vintage Zest! How often does this happen to you? You have a looong, hard day at work and your stomach is growling, but you know that an empty refrigerator is awaiting you at home. Or maybe you are a busy mom at home, and dinnertime is looming, so you need a quick dinner to put on the table. What do you do? I fight the urge to order a pizza once I get home, because I would rather eat something healthier and homemade. That means that I have to put my thinking cap on to try and make a delicious dinner lickety split. That's pressure! Well, I have a fantastic easy dinner recipe that is so packed with flavor and nutrition that you will be amazed at how quick and simple it is to prepare! Just a simple sauté of a few ingredients and dinner is done! 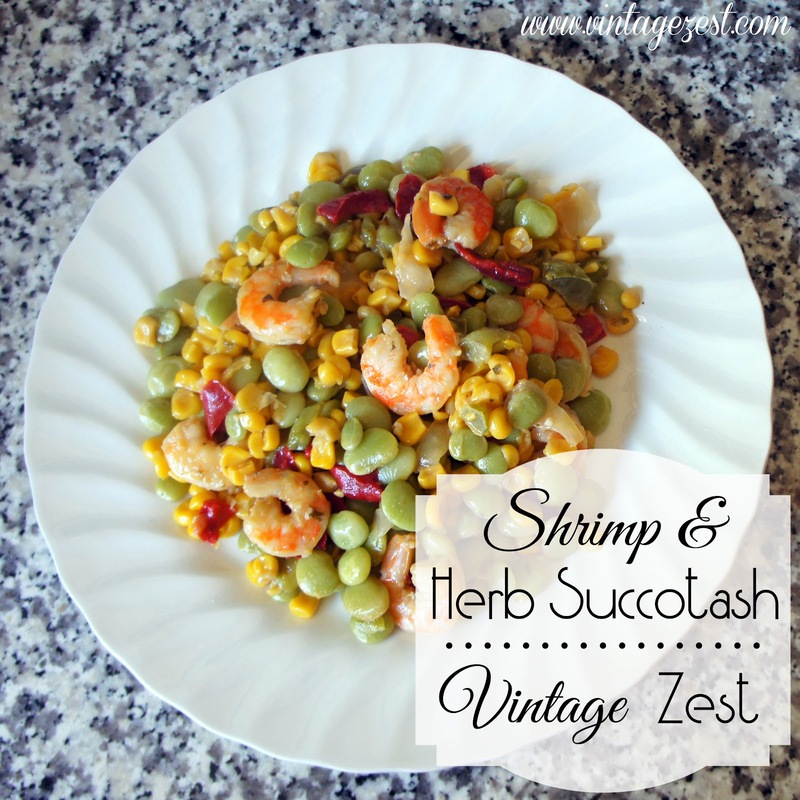 This may become a favorite dinner even when you have time to spare! 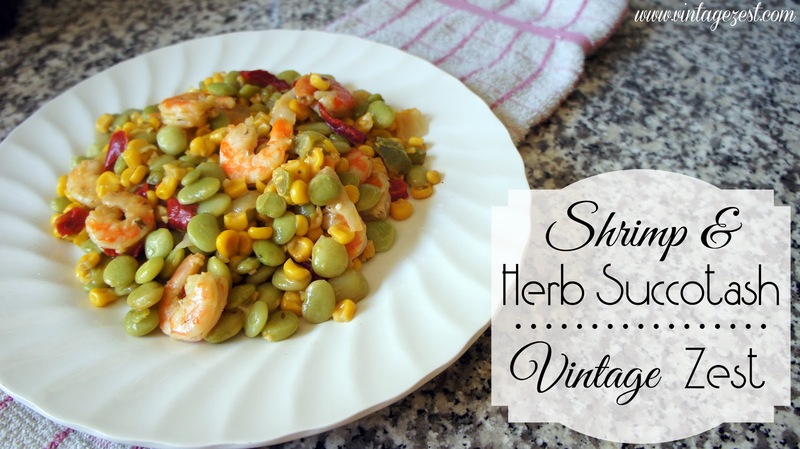 Just so you know, the Shrimp and Herb Succotash recipe that I am about to share with you came in handy for the exact dinnertime dilemma that I shared with you above! It was Thursday night and I was anticipating my week of meals lasting me through Friday night, but we had somehow gone through it quicker than usual! 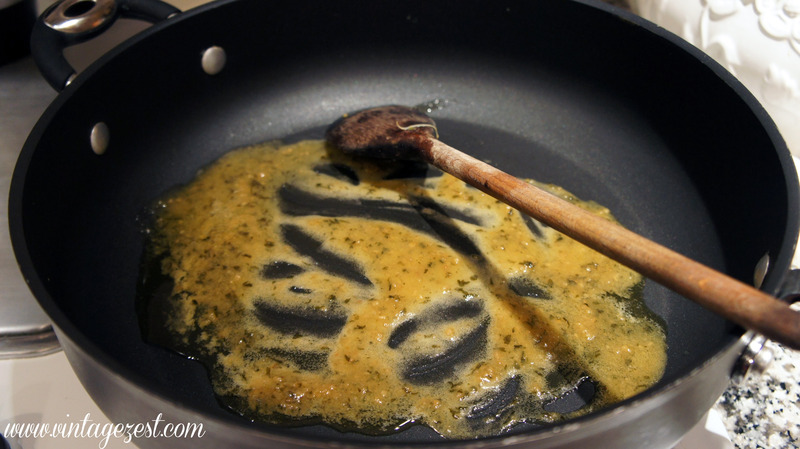 I had bought the Land O' Lakes Sauté Express® Sauté Starter on my last shopping trip, and was waiting for the weekend to prep the dish. But no, I was hungry and it was time to test out how quick and easy this would make my meal. I can safely say that this will now be a staple for us, in addition to a few items in our freezer to make a delicious meal in minutes flat! 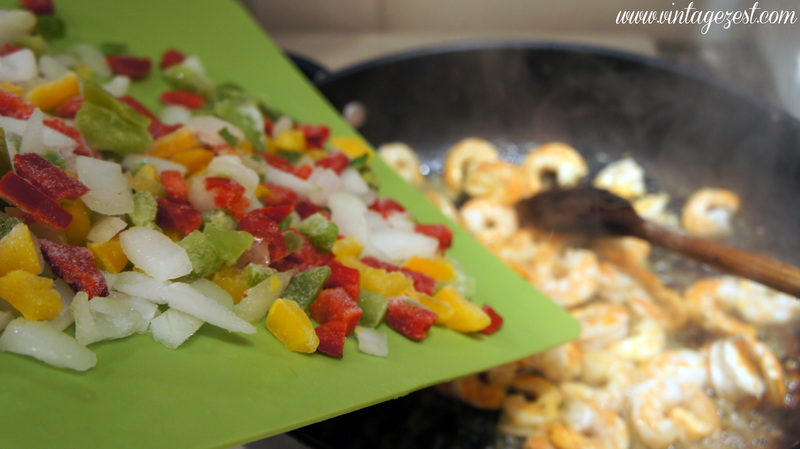 Note 1: I cooked the recipe once with frozen shrimp and once with fresh shrimp, and both are delicious! For a quicker cook, the frozen variety would be my go-to ingredient. Note 2: I intended to buy the frozen succotash blend of vegetables at the store, but they were out and I just made my own. Feel free to substitute the frozen succotash blend of veggies. 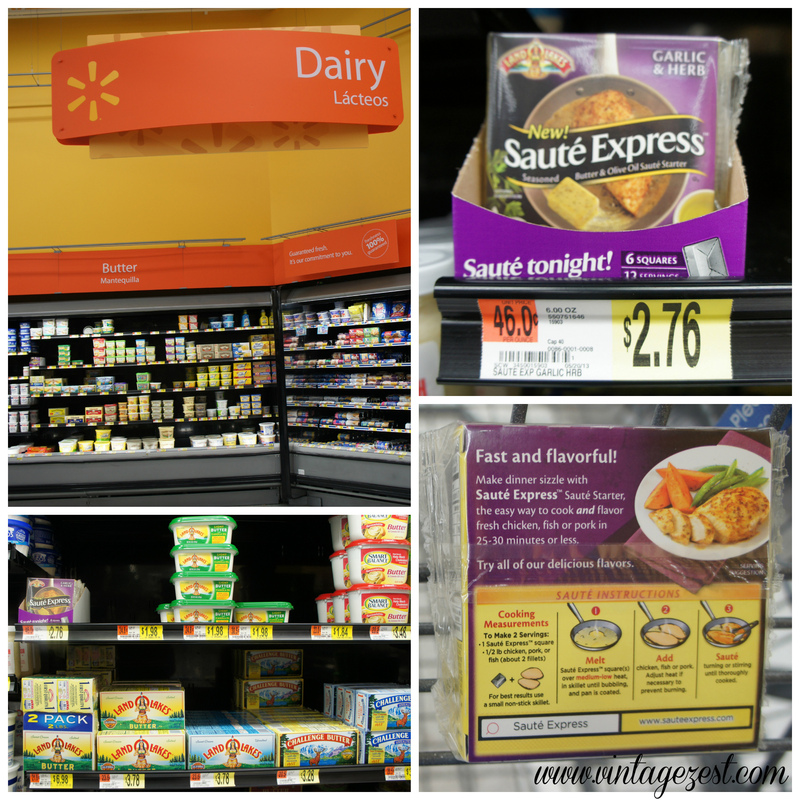 Note 3: I found the Land O' Lakes Sauté Express® Sauté Starter packages at my local Walmart in the Dairy aisle next to all of the butter. See below to see where they are located! See Land O' Lakes Facebook, Twitter (@LandOLakesKtchn) & Instagram (@LandOLAkesKtchn) for more info! 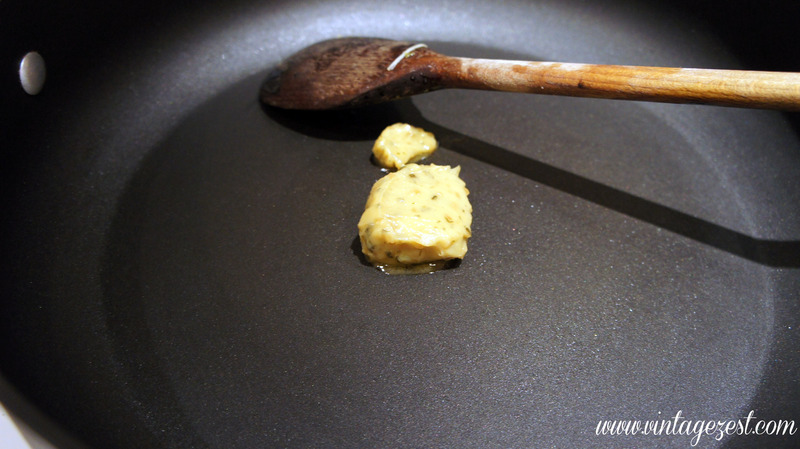 When you open the Land O' Lakes Sauté Express® Sauté Starter package, you will see individual little squares of butter. Each one of them is good for a dinner for two, but since I needed to make 3 meals for each of us, I just used more of the little squares! 1. 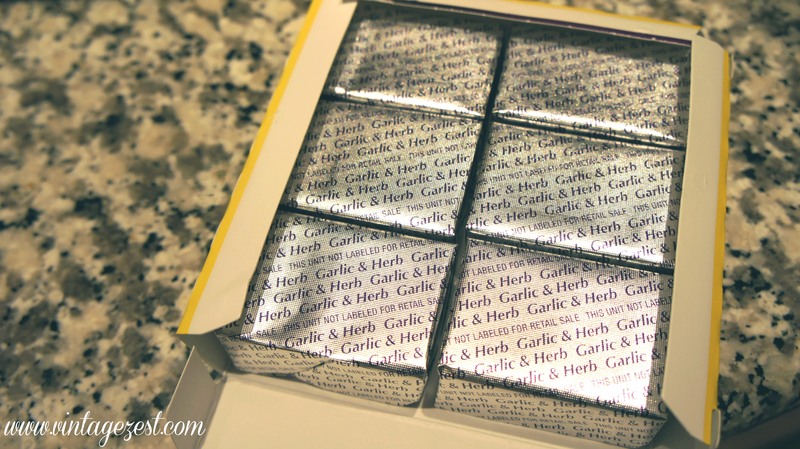 Heat three of the Land O' Lakes Sauté Express® Sauté Starter Garlic & Herb squares over medium-high heat. * When they are sufficiently melted, it will release all of the herby goodness and smell fantastic! 2. Add your shrimp. If you are using frozen, cook until thawed. If you are using fresh, cook until pink. 3. Add your veggies and cook until sufficiently warmed through. That's it! You are now the proud owner of a delicious dinner that came together in a matter of minutes in three easy steps! By the way, my cousin's kid came over as I was making this, and she immediately shouted out, "Something smells good!" Kids are are so funny about blurting out what's on their minds. :) Anyways, we all agreed that this was really good and it almost reminded me of a paella, minus the rice and the saffron of course. Believe me, you will not be disappointed, especially when you find out how little effort you need to cook this up. I love the shrimp addition. Yum!! Thanks for linking up to Wake Up Wednesday! Yummy, love this simple yet, I'm sure delicious recipe. Visiting from Lovely Ladies Linky. 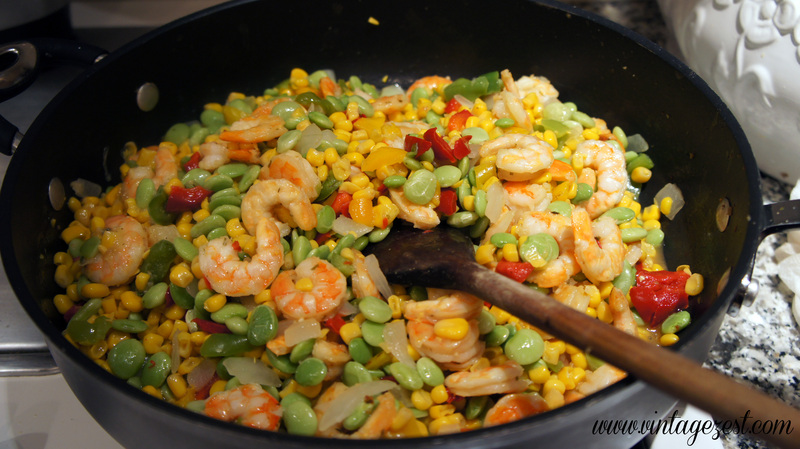 Pinning this my kids love lima beans and shrimp. Love this recipe! 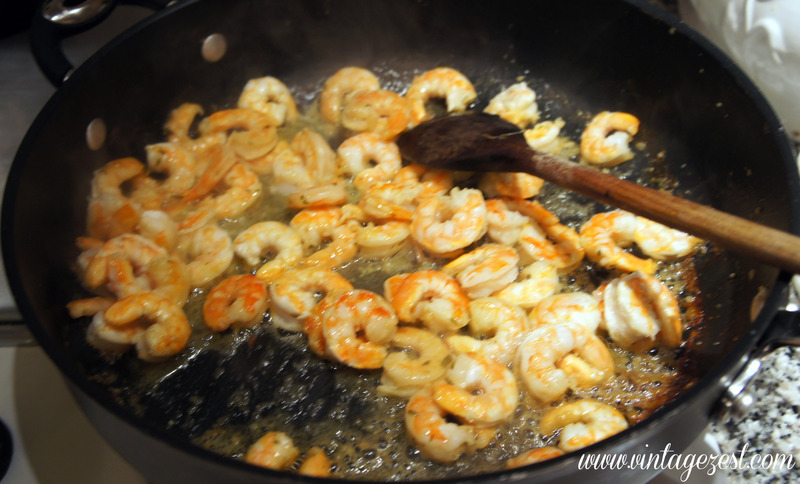 I love anything shrimp, and the fact that it is this easy just seals the deal. Definitely going to try it. Pinning! How lucky are you! I always hear about how kids are so picky with what they eat! They are picky in a gourmet way. Always feeding my kids the same food as us and having them cook with us has made them very open to all kinds of foods. That is best way in my opinion! My parents NEVER had us pick from "kid's menus" when we went out to eat, and we always ate the same way at home. That's probably why I'm so adventurous when we travel and have even more options! Your Shrimp Dinner looks amazing! Hope you are having a great weekend and thank you so much for sharing your awesome recipe with Full Plate Thursday. Delish friend! I am a HUGE shrimp fan as is my Magpie! We would eat this up! Thanks for linking to Sunday FUNday! This sounds amazing! Thanks for linking up with Show Stopper Saturday!